Our product range includes a wide range of semi automatic multi jet ampoule washing machine. In tune with segregated demands of customers, we are offering high-quality Semi Automatic Multi Jet Ampoule Washing Machine. 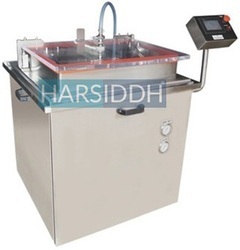 Our offered machines are widely accepted in the market for their high robustness and high-end functionality, hence have profound uses in washing ampoules with uttermost perfection. In addition to this, we provide prime assurance of defect-proof delivery of products through our moder-age manufacturing and quality testing unit. Moreover, we supply these products in the markets at relatively cheap rates.